The Oscars are right around the corner, and Industrial Light and Magic has been working hard to show off its contenders for Visual Effects. 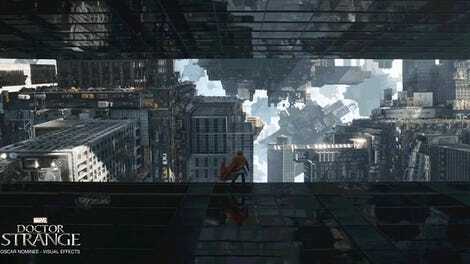 For Doctor Strange, they started by showing how they bent space. Now, they’re bending time. 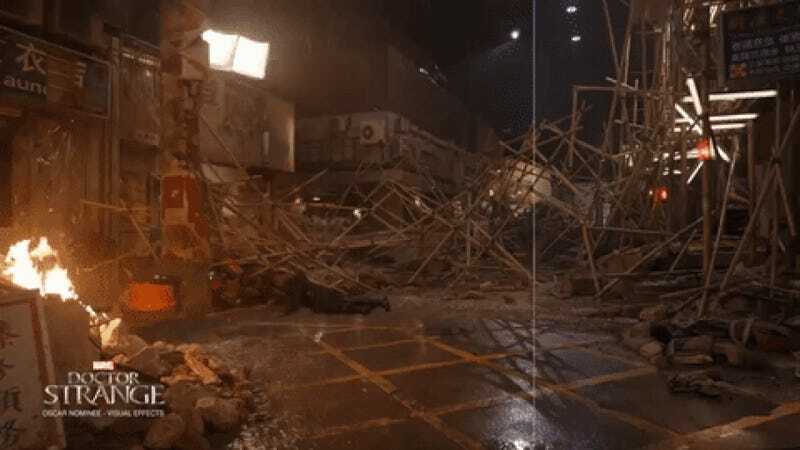 This latest video demonstrates the ways in which they created the time-warp scene in Hong Kong during the final battle. Watching how the bodies, cars, and wreckage were digitally flung into the scenes is really impressive. It does look a little overly reliant on CGI at times, especially when shows like Legion have done similar scenes recently with practical effects (albeit on a much smaller scale), but it still looks gorgeous. The Oscars air Feb. 26.